The title of this post is the same as an article by Ian Walmsley in the March 2018 Edition of Modern Railways. Ian builds on what he said in an article in the August 2017 Edition of the same magazine. I wrote about that article in We Should All Think Radically! He proposes using Mark 4 coaches with two Class 43 power cars to create trains that meet the PRM-TSI regulations deadline, which will mean the replacement of the East Midland Franchise’s twelve InterCity 125s. He suspects various technical solutions can be borrowed to make it all possible and because of the extra weight of the Mark 4 coaches, the trains may become 2+7 sets instead of the current 2+8. The trains could be rather nice. The Mark 4 coaches have been extensively refurbished in the last two decades and have full wi-fi and power socket fitment. The Mark 4 coaches meet all the PRM-TSI regulations. 125 mph running would be possible, where the track allowed. The East Midland Franchise already has the Class 43 power-cars. If the electrification of the Midland Main Line is ever electrified, then the Class 43 power cars could be swapped for electric locomotives. I would assume that three extra sets, that the franchise is acquiring from Grand Central could also be converted., giving the East Midlands Franchise, fifteen sets with a life of at least ten years. A quick calculation would indicate that this reorganisation could see the current 132 Mark 3 coaches replaced by perhaps 120 Mark 4 coaches. I’ve just applied 7/8 to the Mark 3 coach total after the Grand Central trains have been added to the fleet. What Will Happen To The Remaining Mark 4 Coaches? Currently, there are 302 Mark 4 coaches in service on the East Coast Main Line with Virgin Trains East Coast. In the Wikipedia entry for the Mark 4 coach, there is a section named Future. The Mark 4s are scheduled to be replaced on the East Coast Main Line by Class 801s in 2018. Some may be redeployed to Midland Main Line services. Virgin Trains East Coast will retain seven or eight nine-carriage sets to operate extra services to Edinburgh. So it looks like seventy-two coaches will be retained for the East Coast Main Line. As to how many trains will be needed between London and Blackpool, that’s the old question of how long is a piece of string. I don’t think that the platforms at Blackpool will accept full-length sets. Class 180 trains used by various operators are five cars in length. There are fourteen Class 180 trains, running to Bradford, Hull and Sunderland. TransPennine Express has ordered several multiple units and rakes of coaches, that are five-cars long. So perhaps three sets of five carriages, which seem adequate for Sunderland, would be a rough estimate. This gives the following totals. Which gives a total of 207. This leaves ninety-five coaches for other purposes. Or dare I say it, nineteen sets of five coaches? The rakes of coaches will need to be powered. These are a few possibilities. Currently, Mark 4 coaches are powered and driven by a Class 91 locomotive with a Mark 4 Driving Van Trailer, at the other end of the train. If eight sets are retained for the East Coast Main Line, this means that a maximum of twenty-three trains could be created. But except for limited use by Open Access Operators from London on fully-electrified lines, I can’t see all Class 91 locomotives being required. This is Ian Walmsley’s plan for the Midland Main Line, as he outlined in the March 2018 Edition of Modern Railways. There are quite a few Class 43 locomotives available. There are thirty-two on the East Coast Main line for a start. Ian feels that creating 2+7 sets is possible, but many needed would be shorter. According to the article, Mark 4 coaches would be more affordable than making Mark 3 coaches PRM-TSI compliant. The trains would share the iconic appearance of the InterCity 125, which passengers seem to love so much! Chiltern use Class 68 locomotives and Mark 3 Driving Van Trailers, with Mark 3 coaches, so it is likely perhaps after some modification, these locomotives could be used with Mark 4 coaches and an appropriate Driving Van Trailer. 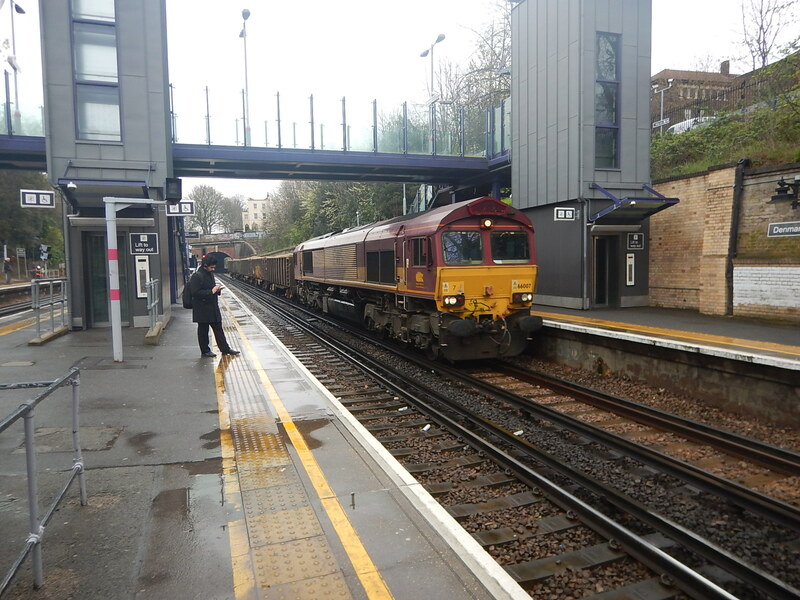 If a Class 68 locomotive would work, surely the closely-related Class 88 locomotive could also be used. This arrangement has been used between Norwich, Lowestoft and Yarmouth with an elderly rake of Mark 2 coaches for some time. It is a method that could be surely be used with Mark 4 coaches after a few modifications. I very much feel we need a new electro-diesel locomotive for both freight and passenger purposes. I have often wondered, if instead of using two Class 68 locomotives, whether a Class 68 and a Class 88 locomotive could be used at opposite ends, to create the ultimate hybrid train, with a powerful diesel locomotive on one end and a powerful electric locomotive on the other. With a bit of ingenuity, I’m sure that uses could be found for most of the Mark 4 coaches. These routes need good quality rolling stock and innovatively-hauled Mark 4 coaches could be a solution. Scotland has decided that the best way of serving some of its long routes, is to use shortened InterCity 125s. Surely, if the concept works in Scotland, it is likely to work in Wales. These could use Mark 4 coaches or more likely updated Mark 3 coaches. Once the Halton Curve is open, the possibility of a Liverpool to Holyhead service must exist. A quality service along the North Wales Coast, must surely be beneficial to residents, business and tourism. 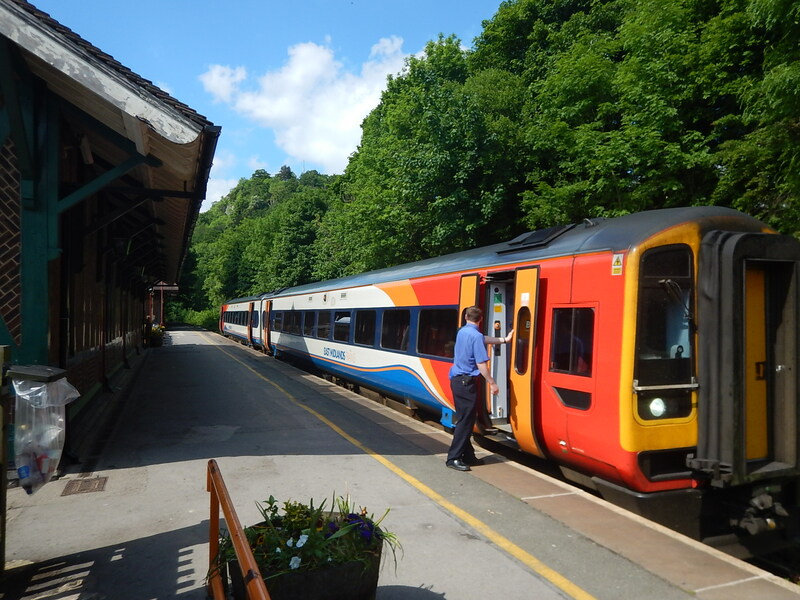 This service is currently served by Class 158 or Class 159 trains. Trains generally work as six-car units. The route is electrified between London Waterloo and Basingstoke. Time could be saved by partial electric haulage. The problem of this route might be solved by converting the Class 158/159 trains in bi-modes, as I wrote about in Class 158/159 Bi-Modes? Cross Country routes and I don’t just mean those run by the company of the same name are often very-well pastronised, as often these routes are the only way to get between two provincial cities. Take Norwich to Liverpool, which has a route, that definitely needs more coaches than those offered by a two-car Class 158 train. Scotland is to run short-formation InterCity 125s between major cities. IMany of these routes also fall into the category of scenic routes. If this Scottish innovation is successful, will we see pressure for similar trains to work routes like Settle-Carlisle in England? I don’t think there will be a shortage of routes to run Mark 4 coach-based services. Don’t underestimate how the retired Mark 4 coaches will be used.